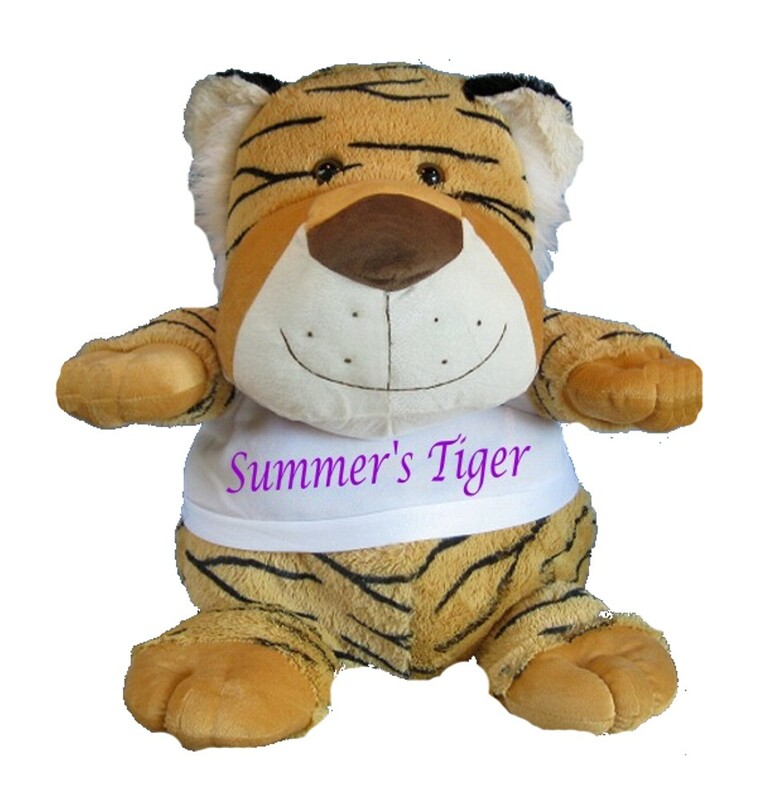 Personalised Full Colour Giant Tiger Teddy with T-shirt. This gorgeous tiger has a customisable t-shirt ready for you to add text and/or a picture. It measures an amazing 50cm from head to foot!! A cuddly half a metre tall! See the other giant cuddly toys in this range including a Giraffe, Duck and Puppy.